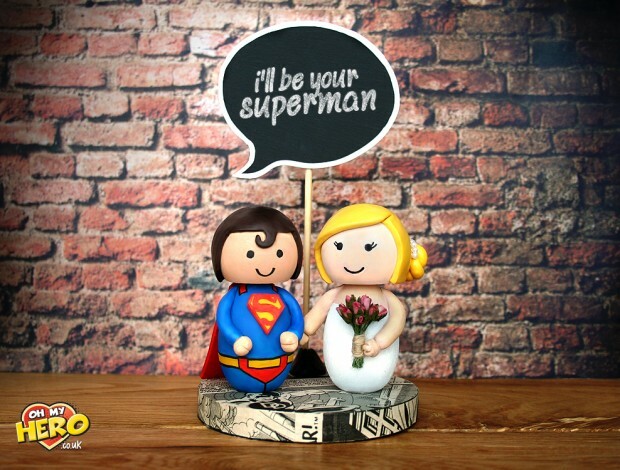 OH MY HERO features personalised Wedding Cake Toppers inspired by iconic TV and Movie characters, handmade by Jessica Alken. Jessica understands the importance of personalising each topper, so you can add extras such as features from grooms facial hair, glasses or even beloved pets! Every topper is handmade and can be fully customised. You can personalise everything from the hair colours, flower colours, tie and suit colour to the dress design and the chalkboard quotes too. Each duo measures approx 3.5 inches in height and sits on a circular base that is 4 inches in width. Quality service is extremely important and starts from the first message she receives. Every stage of the process, from design to packing, is done by her to ensure you get exactly what you have ordered! 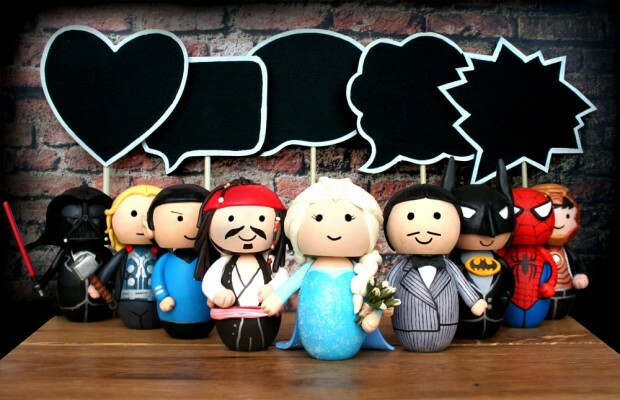 As these little heroes are handmade to order, you need to allow 2 to 3 weeks for them to be created and delivered. 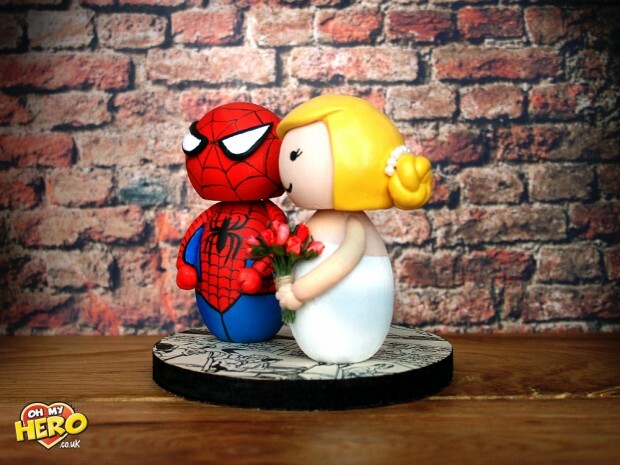 Want one of these cool cake toppers, browse the collection at Oh My Hero. 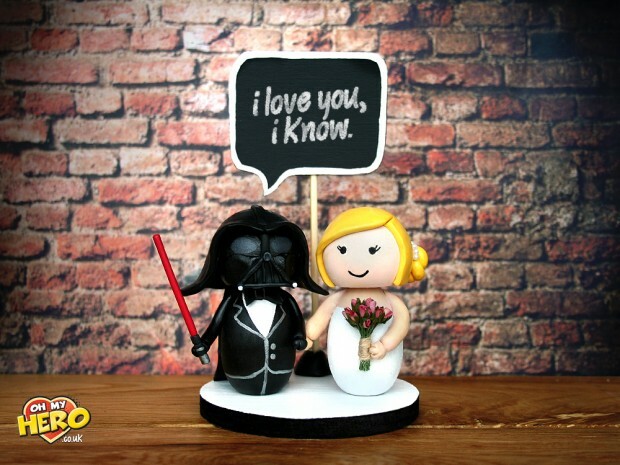 Need more cake topper inspiration? 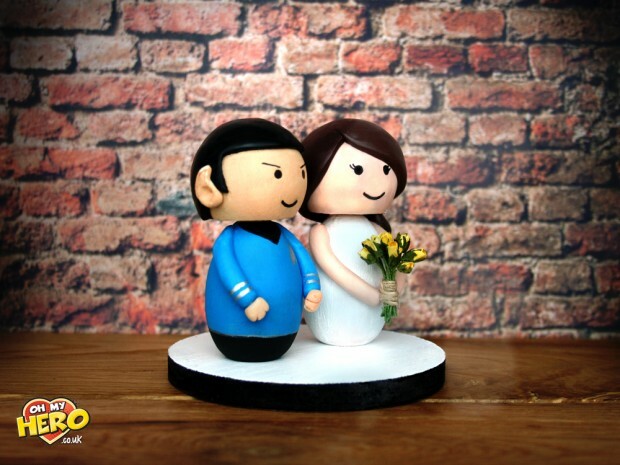 Check out this post on the most ultimate cake toppers. 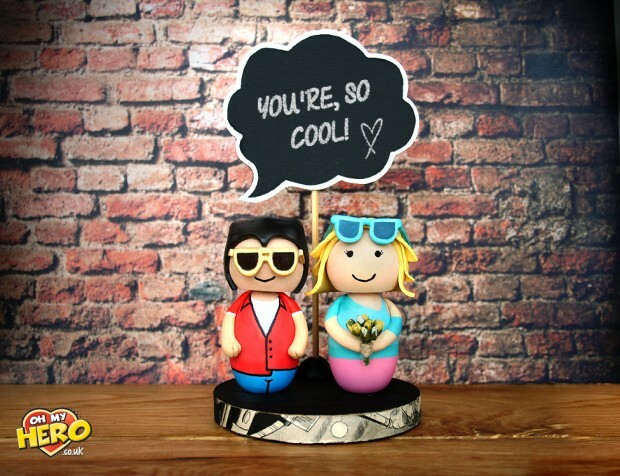 Think my fave is the True Romance cake toppers… you’re so cool. 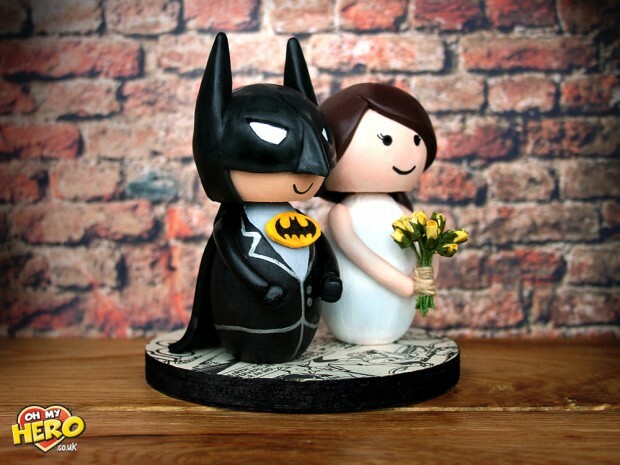 Would love to see some cakes with female superheroes! 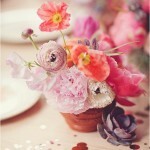 The True Romance one is also my favourite! Such a wonderful movie with amazing soundtrack!